Learn more about Spanish Futbol with this La Liga Webquest. times, with Real Madrid being victorious 88 times and Barcelona winning El Clásico 85 times. These games are also big statements in winning the league that particular season, as these two clubs are almost always at the top of the league standings. The competitive nature of these two clubs is more than just a fútbol game as Barcelona represents the Catalan region and Madrid was granted use of “Real” by the Spanish Crown, and was favored by Spanish dictator Francisco Franco. 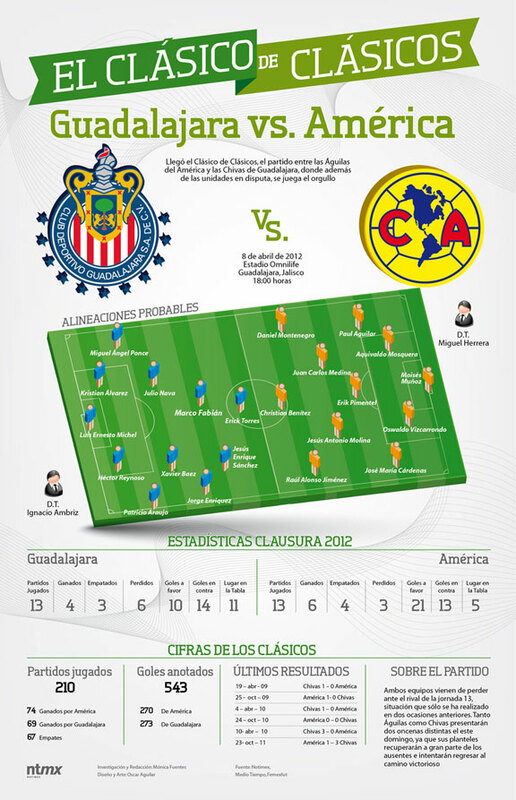 Check out these infographics detailing the best players of both teams. Surely, being prepared to talk about this game on Monday will spark many of your students’ interest! This entry was posted in Culture and tagged Barcelona, El Clasico, futbol, Real Madrid. Bookmark the permalink. 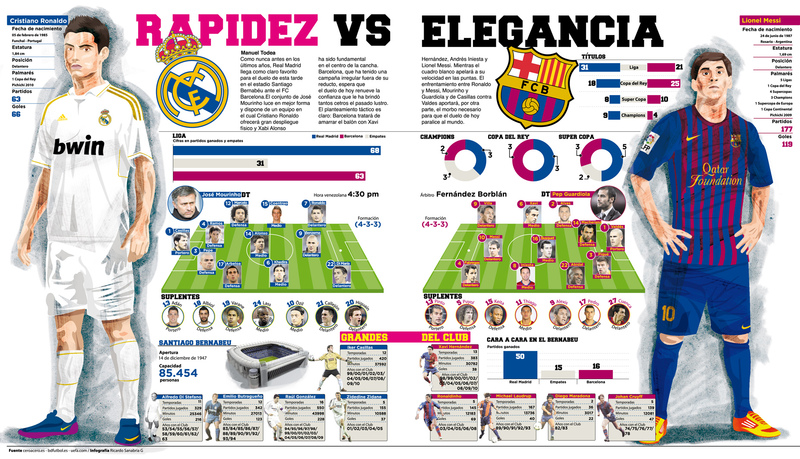 El Clasico Saturday, October 26, 2013.